I am starting a series on my craft room organization and overall organization efforts. 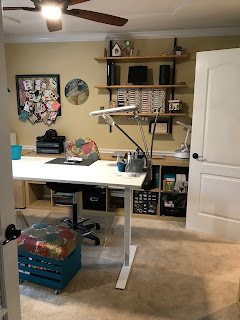 Many of my organizing ideas were inspired by Jennifer McQuire Ink. 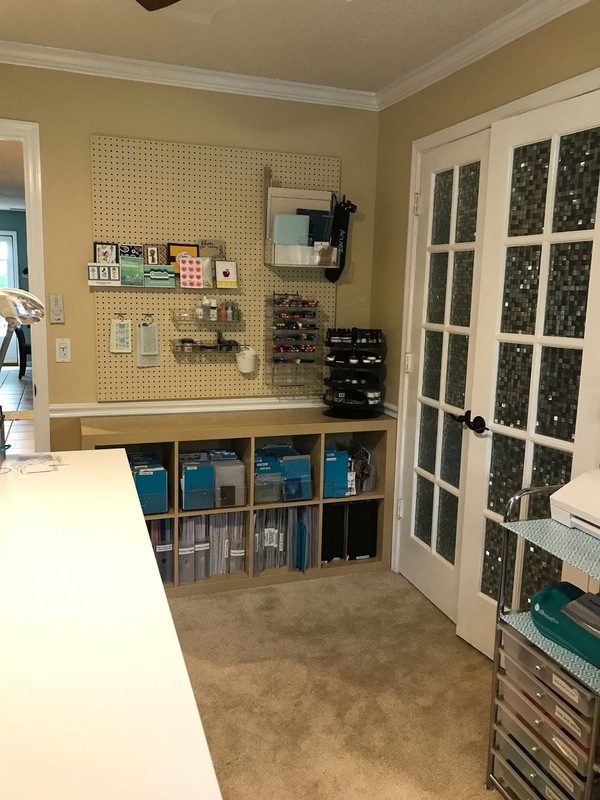 As many of you know a craft room is always a work in progress. We are always in search of the perfect storage to maximize space. 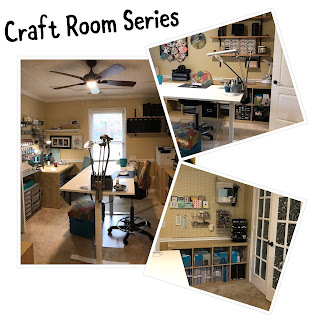 Today I am going to share my over all layout of my craft room and how to create a layout that will work with your room. 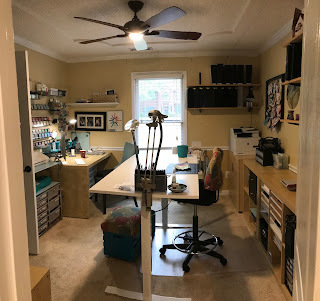 I’ve lived in my house for over 12 years and my craft room has been in three different locations in my house. My current location is my dining room, and it is by far my favorite. My dining room was just too small for large gatherings and just sat there unused acting as a hallway. On top of that the room has lots of openings. 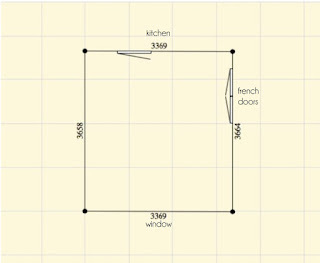 It is 12 feet by 11 feet with a set of french doors, a door to the kitchen and window, all on different walls, so wall space is at a premium. I have used IKEA’s Kallax shelves for the last 12 years. I have had them in many configurations over the years as I’m always seeking to improve my layout and organization. 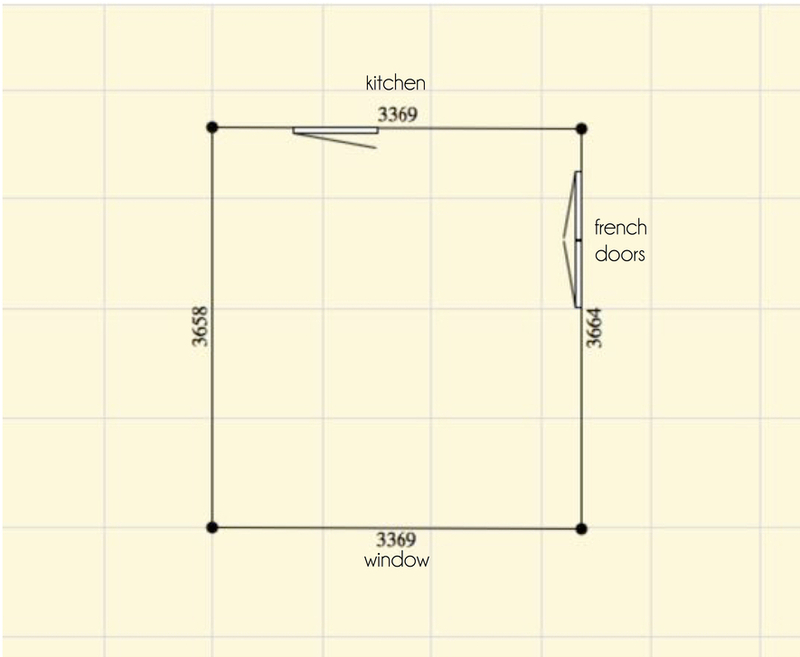 First measure your room and create a floor plan. I forgot the window in the plan below but when planning a new craft space its important to include the placement of all doors and windows. I recommend that you clean out the room if possible and use tape to mark furniture placement. I did not do that. I never do anything the easy way. Next is the really hard part, at least for me—figuring out how you want to use the space. When I first moved into the dining room, I thought I wanted vertical storage to maximize space. I also wanted a table in the center of the room. I lived with that configuration for about one year. What was missing was more flat work space for my Big Shot, various paper cutters, and extra work space. I also wanted the room to be pretty, as it’s one of the first things you see when you walk into my house if the French doors are not closed. Next, you need to figure out what elements of your current storage are working, and which furniture pieces are staying in the room. Pull out your tape measure and start measuring your furniture pieces to help you figure out a placement plan. I knew I wanted to keep my 2 tall Kallax units, 1 short Kallax unit and the desk piece for the Kallax. But I knew there had to be a better layout. Once you’ve decided what is staying and where it will live, decide what pieces you still need. I wanted something to hold printers but it had to fit in my plan. Ikea to the rescue! I also wanted a new desk/table that would be a standing or sitting desk/table, and once again Ikea had a solution. Room is great and well organized. I aspire to that someday. Thank you! More to come to keep you inspired. 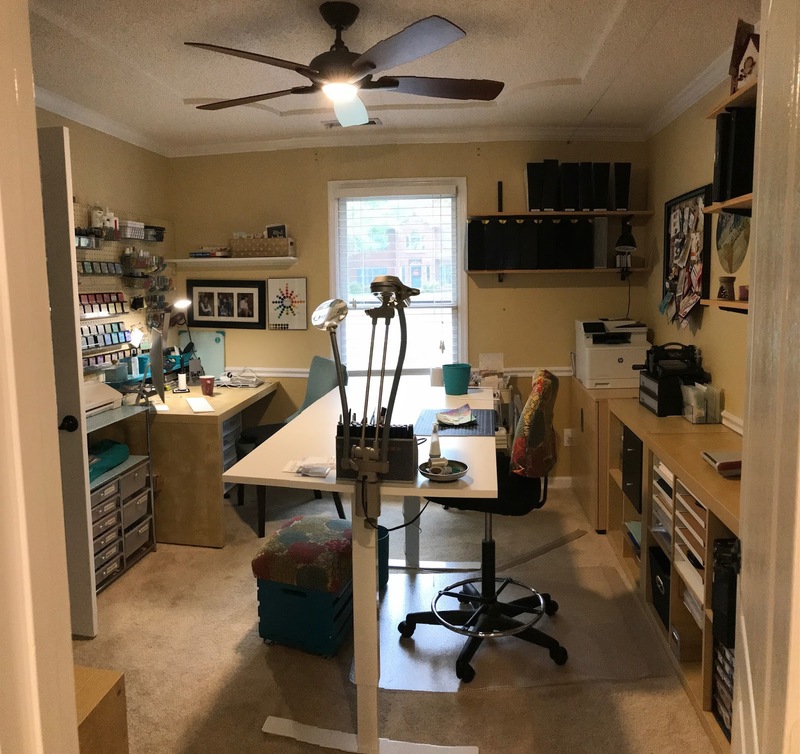 I love your craft space! You make great use of every area without it looking cluttered.